You know when you go to the store or supermarket and buy eggs? The carton has a whole bunch of numbers on the side, doesn’t it? One of them is clear – it’s a ‘best buy’ date. We all understand that. But what about that mysterious number next it? Well, it’s called a ‘Julian Date’. And it also indicates a time of year. A specific day, in fact. 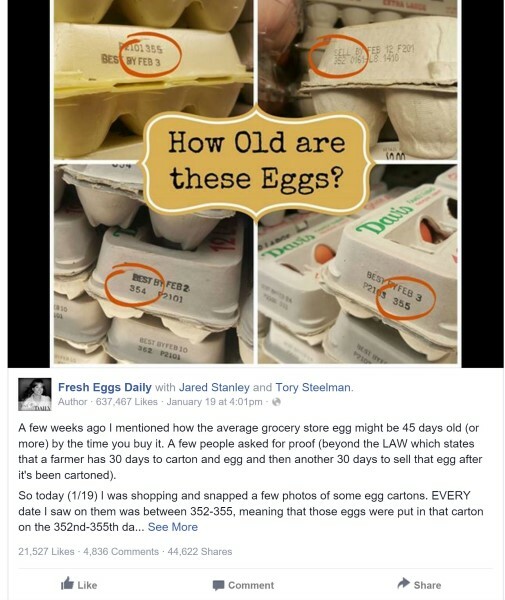 It’s a number between 1 – 365 and indicates what day of the year the eggs were boxed. Next articleShe Soaks Her Feet In A Listerine Bath For A Half Hour… Why? Ingenious! “Dumb” Man On Judge Judy Loses His Case In Under 30 Seconds!